A home of your own is one major point. Rental premises can never give you the snug feeling of a nest which is yours for keeps that a home provides. If it has a garden space, all the better. Customise your own home and cultivate a Kinship with it. 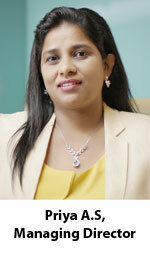 So come and choose your Dream home from the wide choices that suits your budget & location. 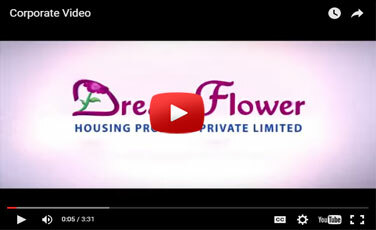 Dreamflower is one among the trusted & reliable builders in Kochi, the financial capital of Kerala. We are a synonym for "A Builder Who Completes Projects on Time". We hold a track record of handing over 48 Projects on time in the last 15 years. Located and based in Kochi, the financial hub of Kerala and a real-estate investor's dream location where prices are shooting sky-high; An investment with us will help you reap high profits in the near future. We are known for applying ourselves diligently to each project, right from Conception to Completion. Our commitment to a customer is reflected in the uncompromising quality & punctuality ensured through systematic and methodological approach. We believe in providing you with not only a home, but also superior living experience through our never ending practices considering prudent lifestyle. Ask our existing 650 customers, they will be keen to share their experience and success stories with Dreamflower. 70% of our sales happen through references from our existing customers. We are involved in catering to the needs of a specific housing sector : "Premium Utility Apartments". "Our aim is to bring quality workmanship to the customer at a cost effective price delivered at the fastest pace." The specifications we offer are part of the agreement. All our projects are located in premium residential localities just 50-200m off the main bus route with all amenities for a community living. We have a dedicated team who pumps in their full potential to ensure complete customer satisfaction. Our after sales support team ensures not only safe custody and housekeeping if you are not around, but also will assist and assures you a good rental revenue if you wish to rent out your flat / villa. In future, if you wish to upgrade, our team will help you in the resale and gain good profits from your investment. Our journey has been successful only due your continued support and patronage and we expect the same in future. Come and enjoy the DREAMFLOWER EXPERIENCE..... In case you experience any difficulty please write to mail@dreamflower.in.